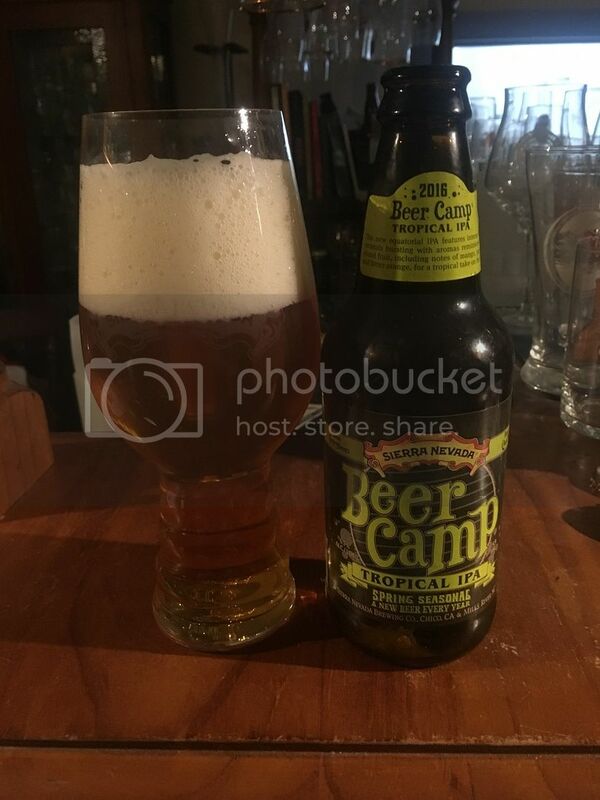 The beer I have for you today, is Sierra Nevada's 2016 Beer Camp beer, the Tropical IPA. If you look very closely at the photo, you will notice that it's in a Sierra Nevada branded Spiegelau glass - not that the iPhone photo is doing it much justice. 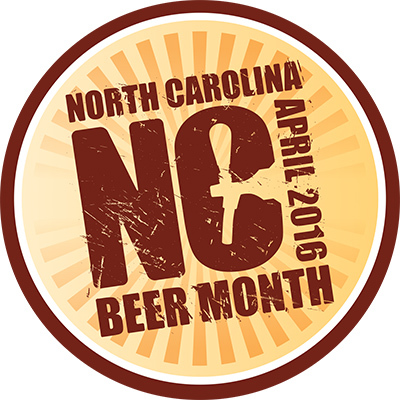 Today's badge is the North Carolina Beer Month commemorative badge. 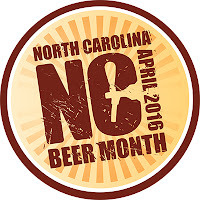 To unlock this one, simply check-in any beer from a North Carolina brewery in April. Check out this link to find out which breweries qualify for this badge. Despite what the photo shows, the Tropical IPA pours quite a light golden colour. The beer is crystal clear and is topped by a frothy white head. The head has quite good retention, despite it's appearance, and around a finger hung around throughout the duration of drinking. It's a great looking IPA, and thankfully it's time to drink it! But first things first; the nose. It's pungently hoppy, with sweet pineapple far and away the most pronounced aroma. There are other tropical fruits on the nose as well as some citrus but there are almost no malt characteristics to speak of. The nose is also strangely short lived, which I don't know what to make off. The taste of Sierra Nevada's Tropical IPA, is just as the nose indicated it would be. It's hoppy, it's quite sweet - whilst still maintaining good bitterness - and it's strangely short lived on the palate. There are hints of bready/bisuity malts, but they are nowhere near prominent enough to provide balance. Overall, I think this was a bit disappointing, and it's very rare I say that about a Sierra Nevada beer. I thought the body was too thin and that the pineapple was too overpoweringly sweet, despite the ample bitterness coming from the hops. This is a beer that I would be very interested to here differing opinions on, maybe it's just me who didn't like it. Hit me up via the usual channels, email, twitter, Instagram or below. Until next time guys.